Bottle Jacks are versatile, for use in pushing, pressing, straightening and other applications. 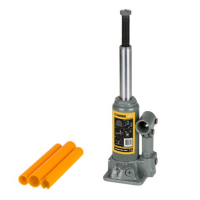 Cast iron bases, polished main rams and solid chrome pump linkage are as standard. Choose from several variations of bottle jack, including standard oil jacks, air assisted bottle jacks featuring aluminium air motor and chrome pistons, or extra low-profile entry bottle jacks for working with performance and low clearance vehicles. 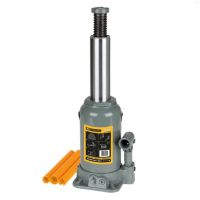 The Winntec 4 Ton Bottle Jack is versatile and can be used for pushing..
Winntec 6 Ton Bottle Jack is versatile and can be used for pushing, pr.. 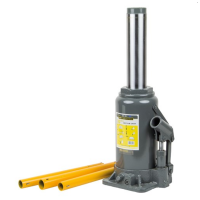 The Winntec 8 Ton Bottle Jack is versatile and can be used for pushing.. The Winntec 20 Ton Low Entry Bottle Jack is versatile and can be used ..